At Stan James Mobile Casino, not only are the guys in charge providing the guaranteed best odds, but they are also providing their namesake’s Stan James free bet for new accounts! Simply bet £10 and get £10 for free! You can also follow the site on Twitter or “like” them on Facebook to receive real-time updates on free bets and promotions that will help you pad your Stan James Mobile Casino real money account! Stan James Mobile Casino Review Continued.. 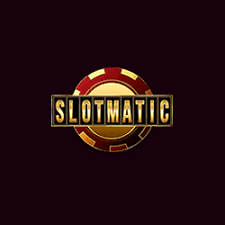 The Stan James Mobile Casino software is licensed in Gibraltar, giving each member access to a legitimate gaming source directly from their mobile device. Your transactions, wagers and personal information are completely secure, and protected by the licensing and software platform. Beyond its steel frame is the glitz and glamour of vivid graphics, high intensity interaction and fluid operation, allowing players to enjoy the physical play as much as they do their winnings. The site provides live dealer games that place players in the middle of the casino gaming action, no matter where they are playing from. With 5 reel slots available for big winning combinations in games like Mega-Death and Chest of Plenty, 5 free spins are also available on varying slots as a promotional winning opportunity. 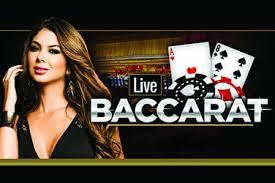 If you prefer table games to slots, poker, blackjack and roulette are all available for your enjoyment. Want to go a little further than the average casino allows? Arcade games and bonus games are available with the tap of a finger to open the doors to exciting gaming opportunities that cannot be found just anywhere! When depositing money into your Stan James Mobile Casino account, simply choose from the following options: Visa, MasterCard, Skrill, NETeller, PayPal, PaySafe Card and Bank Transfers. To request your winnings for withdrawal, simply choose from one of the deposit methods that apply to you, and enjoy your new windfall as you see fit! Should you have any questions along the way, contact customer service via phone, email, live chat or post. At Stan James Mobile Casino, you can enjoy a couple different welcome bonuses, including bet £10 and get £10 for free or £20/€20 bonus chips up for grabs by depositing and wagering a mere £5!